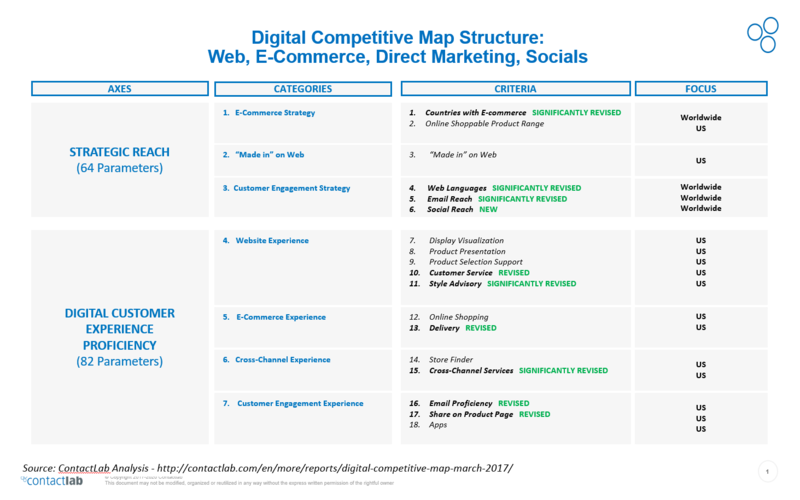 Contactlab just published the fifth edition of the Digital Competitive Map, covering the Web, Ecommerce, Digital Marketing and Socials capabilities of 32 Fashion & Luxury brands. The evaluation structure has been significantly revised, and now includes 146 parameters. 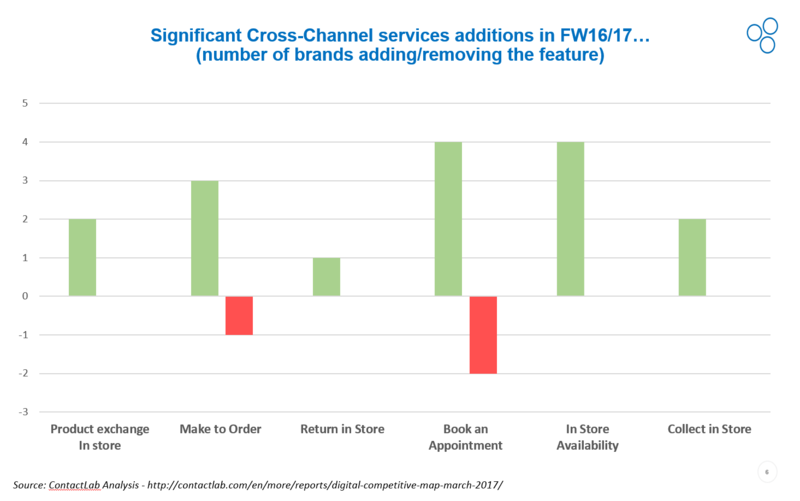 Burberry is still the digital champion, for how long? 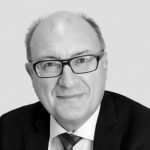 …probably for a while given that digital perspective is pervasive in the organization, from clear vision in the digital agenda to extreme attention to details. 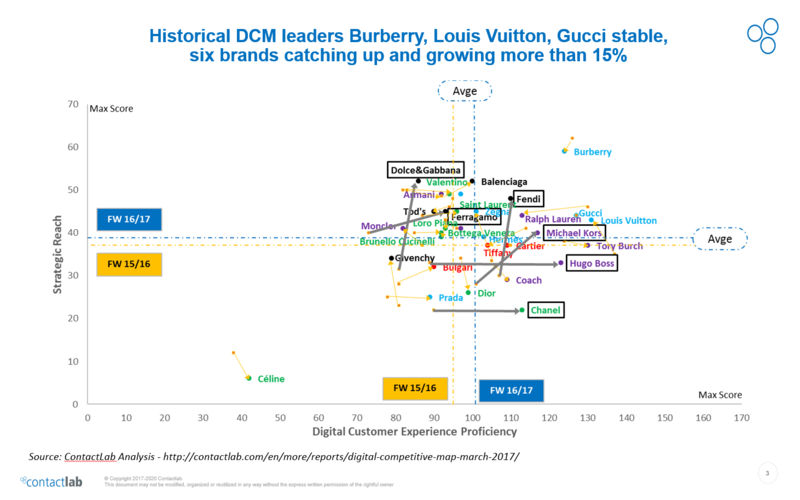 However, historical digital leaders Burberry, Louis Vuitton and Gucci appear stable, while followers are catching-up. 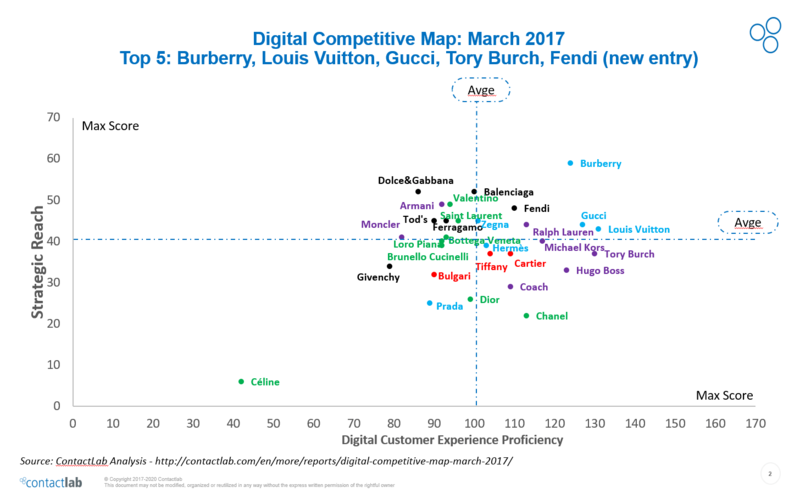 Fendi performance is particularly impressive, moving from Bottom 2 in 2014 to Top 5 in 2017 (replacing Ralph Lauren). 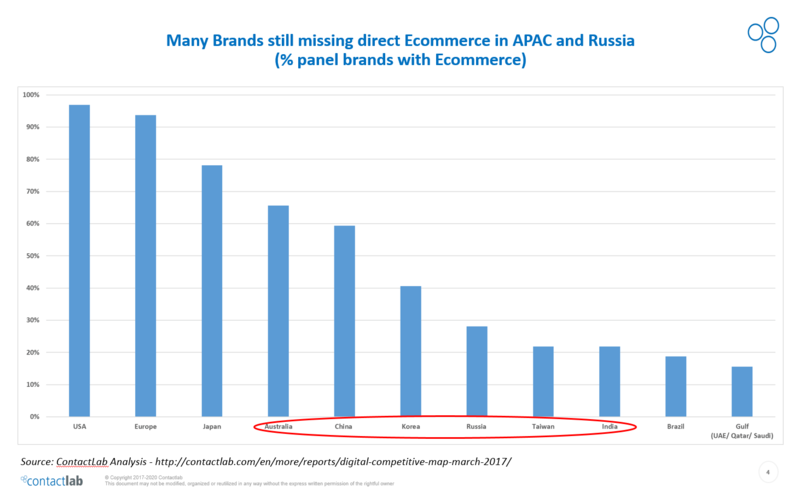 Almost totality of brands offer a direct E-commerce channel in USA and Europe, but many are still trailing in most other geographies (China, Korea, Russia, …). Significant Panel effort on localization driven criteria (Web Languages /Email Languages /Socials), although digital content generally remains indistinct. Link between Socials Accounts and Ecommerce exploited by ca. 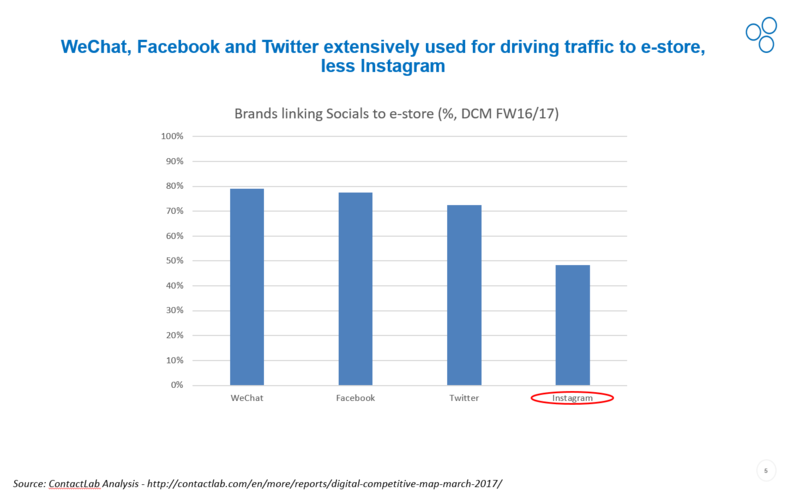 80% of brands for Wechat, Facebook and Twitter, strangely less for Instagram, very effective media in the Fashion industry. 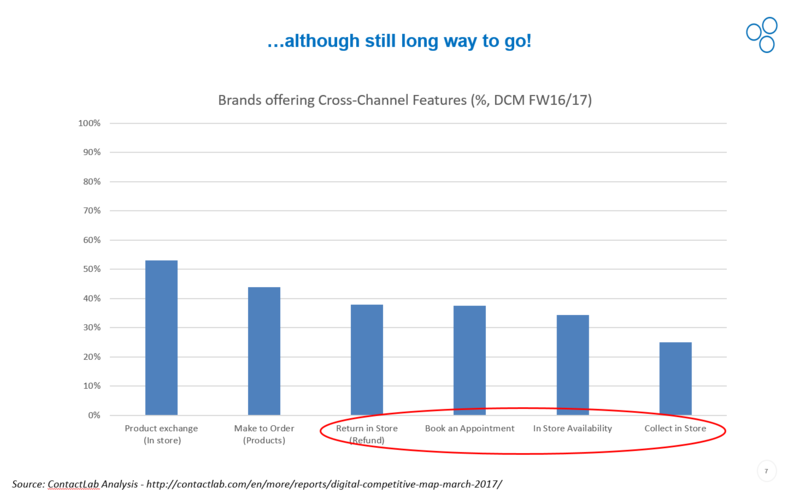 Many brands improving Cross-Channel services, although more than half Panel still not exploiting the potential, a missed opportunity given that cross-channel clients generally spend ca 40-50% more on a yearly basis.